Welcome to AZ Rock & Canyon Adventures, where our motto is "Train, Commit, Execute, Repeat". Below you will find a breakdown of the different courses, workshops, and programs we offer throughout the year as scheduling permits or demand dictates. If you have a particular interest, the targets above may prove useful as they narrow this list into their respective categories of Canyoneering, Rock Climbing, or Canyoneering Programs. Courses in general are multi day sessions that cover a particular category of skills from top to bottom. These courses typically build upon one another and range to suit those with little to no experience all the way to the experienced individual simply looking to take their knowledge and skill set to the next level as they approach more difficult tasks. Workshops are distilled out of the courses and generally cover a very particular skill or topic. With focus on learning and perfecting a single task, typically a single day of hands on practice and repetition is enough time to get dialed in. Programs allow individuals looking to perfect, utilize, and test their knowledge to earn several different leadership and professional achievements designed to motivate and push your skill set. It is the dedication of the ACA leaders and guides to insure we always present the most current skills and techniques, while adhering to the highest standards. Canyon Leader programs are intended for individuals who facilitate canyoneering programs in group settings such as college outdoor recreation leaders, experiential education program instructors, wilderness therapy staff, camp directors, youth leaders, and recreational canyoneers looking to improve upon their technical skills. Professional Canyon Guides - All credible professions require formal training and proof of competency. ACA courses and assessments give you that credibility by guiding you through the entire process of becoming a professional canyon guide. Success in the program indicates that an individual has been assessed to the standard of an internationally recognized, professional body. Inquire with any interest regarding training as courses are not always advertised on the calendar of events. Most requests can easily be accommodated and are scheduled to meet demand and client expectations. The Perfect Primer. The goal of "Intro to Canyoneering" is to have you leave understanding the core concepts so you can become a contributing team member while in canyon with competent leaders and mentors. Digging deeper, this course will have you in a position to tackle intermediate canyons with competent leaders and mentors, while providing the confidence to take on more anchor, rigging, and problem-solving responsibilities. Advanced technical ropework, problem solving, improvising, and the ability to critically work your way through issues higher level canyons can possess. Advanced Canyoneering provides students with the advanced rigging and rescue skills needed to become effective problem-solvers for a team of canyoneers. Practical application pushes your knowledge with challenging real world applications, utilizing only the tools on hand. Additionally, contrived situations and scenarios will challenge your problem solving, and technical rope work. Canyon Rigging & Rescue focuses on self rescue and companion rescue, quick access to an injured or stranded patient/group from above or below, providing escape assistance and applying specialized rescue techniques in situations that do not require a litter. This workshop will focus on teaching how to evaluate, construct, and move the group safely through basic anchors commonly seen in canyons. This workshop focuses on the principals of advanced canyon anchor building, identifying natural anchor choices, advanced rigging scenarios, common anchor construction projects, soft starts, and working to safely meet the demands of the team. This workshop covers rope skills from across the board to boost the depth of your rope related problem solving. Various ways to approach those keepers that can often have the group getting crafty as you problem solve your way up and out. Totally custom day based on your groups requirements. An Aspirant Canyon Leader (Aspirant) is an individual who has passed an Aspirant Assessment that includes skills from the ACA's Level 1 and Level 2 Skills Checklists. Aspirants have expressed their intent to pursue additional technical training, leadership training and mentoring through the ACA. Canyon Leader I is a recreational designation that requires (1) completion of the ACA's Level 1 Leader/Guide Course, (2) lead three canyon descents, each under the supervision of a Canyon Leader I or II, and (3) facilitate two Level 1 skills practice sessions, each under the supervision of a Canyon Leader I or II. Canyon Leader II is a recreational designation for individuals who have completed the ACA's 7-day Level II Leader/Guide Course and passed the 4-day Level II Assessment, who do not intend to pursue professional canyon guide certification. Certification from the ACA involves rigorous training and assessment with two key factors in mind: (1) Becoming the best canyon guide possible, and (2) Delivering the greatest reward for your clients. Success in the program indicates that an individual has been assessed to the standard of an internationally recognized, professional body. This beginner climbing course gives students a very solid foundation to begin exploring the amazing sport of rock climbing. 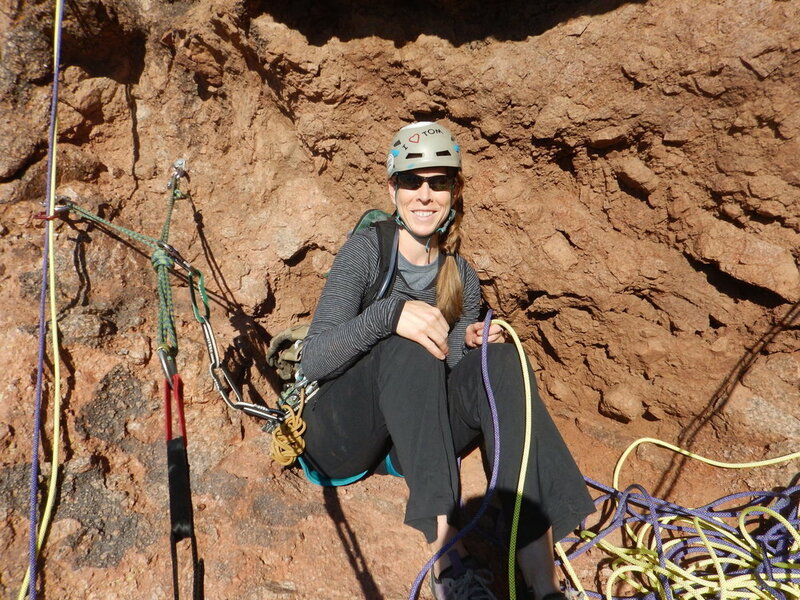 It is intended for those with little or no climbing experience.Students learn proper techniques as they relate to top rope and multi-pitch climbing, rappelling and belaying. Take what you learned from us in our basic anchors class and take it to the next level. Learned to build safe anchors in very hard to deal with places. You will laran to make anchors with little to no gear. A truly challenging class. The Technical Self-Rescue for Climbers program is an intensive seminar on improvised multi-pitch rock rescue techniques. Participants study a series of haul, lower, rappel and rope-climbing systems and then apply them to a variety of practical scenarios. This is an advanced climbing class. All aspects of lead climbing will be addressed with a strong emphasis on multi-pitch trad climbing. Topics include gear, the dynamics of lead falls, solid gear placement, rope management, anchors, and the mental as well as physical aspects of sport and trad leading. Very similar in format to the Multi Pitch Trad Course, this is an advanced climbing class. 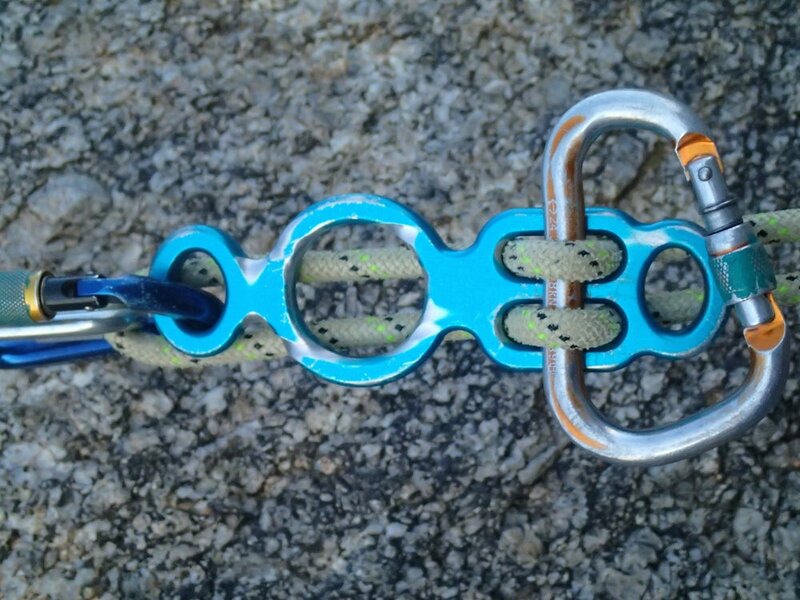 All aspects of lead climbing will be addressed with a strong emphasis on multi-pitch trad climbing. Topics include gear, the dynamics of lead falls, solid gear placement, rope management, anchors, and the mental as well as physical aspects of sport and trad leading. Let us design a class specifically for your needs.